Mantayupan Falls: Falling in love with its picturesque scenery. 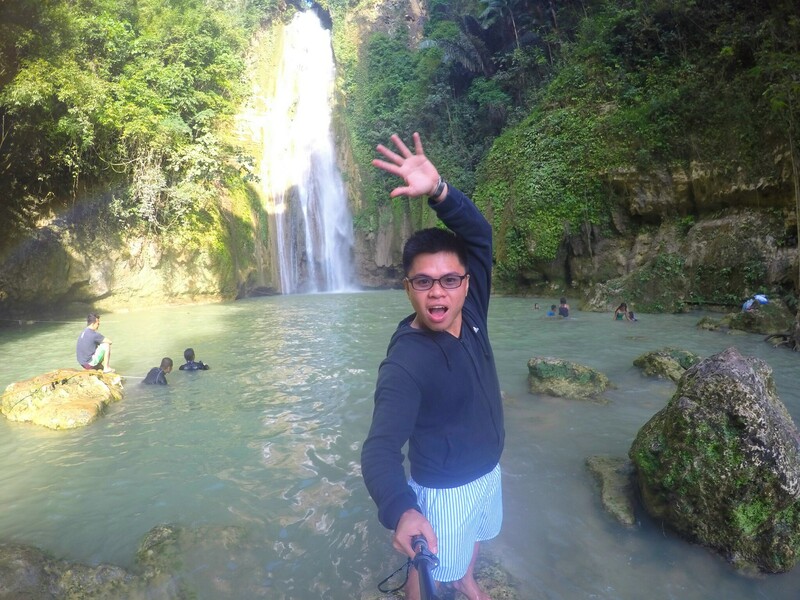 With relatively high rainfall, broken and mountainous terrain, Cebu has many waterfalls. They have long been ranked as among its most impressive tourist destinations. Many are in a picturesque scene and creating their own image in accordance to their uniqueness, style and beauty. An innate looks that will surely captivate someone’s eye and help someone’s desire to acquire peace and tranquility. I’m falling in love to this falls, because today, as I set foot on this majestic cascade, it is not my first time. I’ve been here for 4 times already and today it’ll be my 5th time. I was not yet a blogger during those times, and since I want to take in another fresh experience of Mantayupan falls, I decided to get my not so hefty bag and bring my two little itchy feet and traipse here for the 5th time. 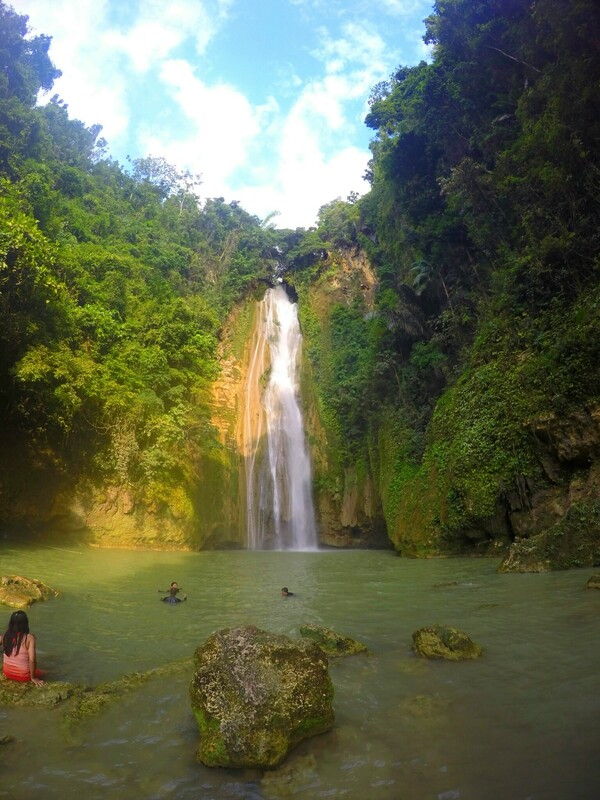 Mantayupan Falls is situated in the town of Barili, Cebu. 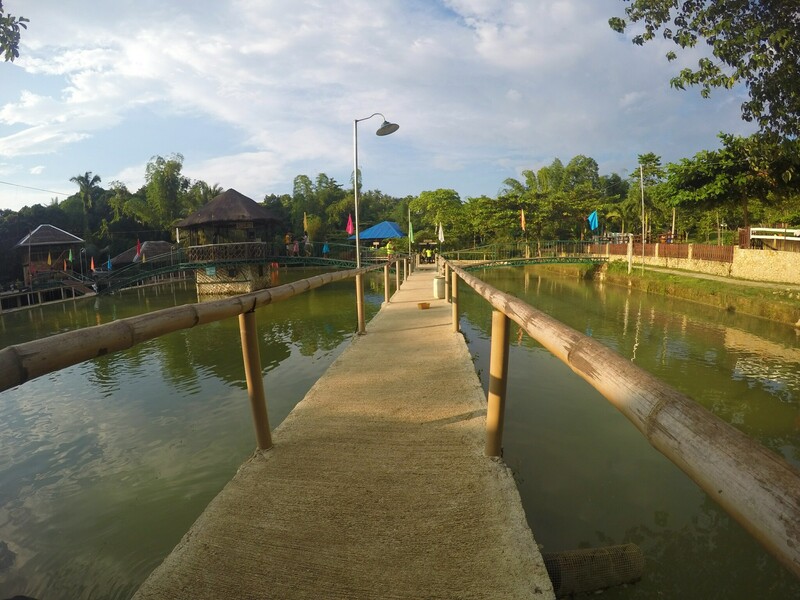 It is located 61 kilometers away from Cebu City and almost two hours of travel time. Historically, the town’s name Barili derived from the word Balili, a kind of grass growing in the vicinity. Upon making it at the town of Barili, I immediately took a Habal-Habal (motorcycle) going to Mantayupan Falls. The Falls is 4 kilometers away from the town proper and 10-15 minutes drive. Mantayupan falls has been I guess one of the most accessible falls that I have been to, because the road giving way to the falls is concreted and I have loved the stunning view while I’m making my way to the falls. My driver told me that there’s a Tilapia Fishing Village and Restaurant just before getting to the waterfalls. Safe in his mind that he’s speaking to a first timer, which I guess I appreciate his willingness to introduce what his town can offer to the travelers like me. He must be very proud of his demesne. 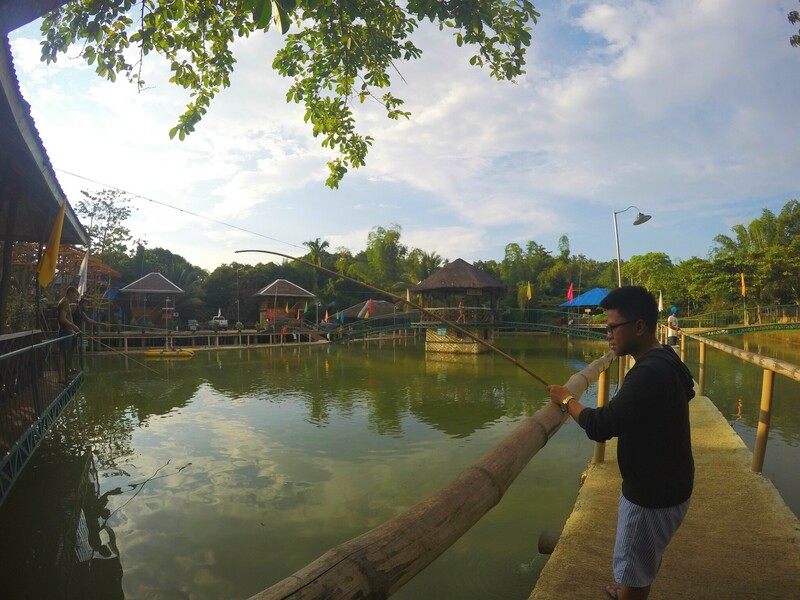 The Tilapia Fishing Village and Restaurant offer dining, pond fishing, swimming pool, cottages, horseback riding, and overnight accommodations. The place also offers an array of Tilapia menu’s that will certainly satiate your craving. My long delay is over and I’m happy to finally set foot on this place for the 5th time. 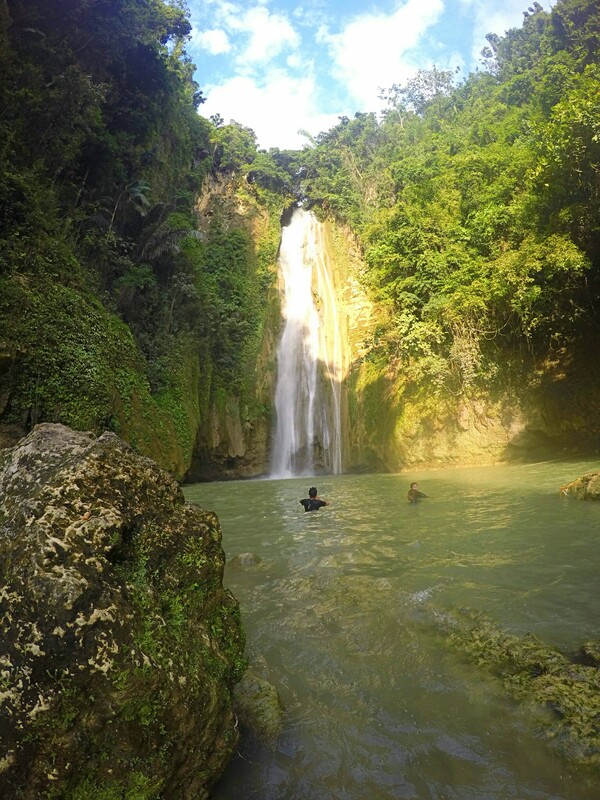 Mantayupan falls is nestled at the foot of Barili’s sprawling mountains and peacefully situated in the lush scenery green forest. I forthwith went to the first falls trying to grab the chance since it wasn’t that crowded. In fact, it was just me and my two little itchy feet who’s enjoying the place. The first tier is 14 meters high tiered waterfalls, splitting together and formed three layers which looks like they’re being disunited. After several shots taken, I gave way to the second falls which would only take me 5-minutes of walk. The second level is the 98 meters high cascading falls that create a thundering roar as it plunges from its peak to its wide catchment basin. 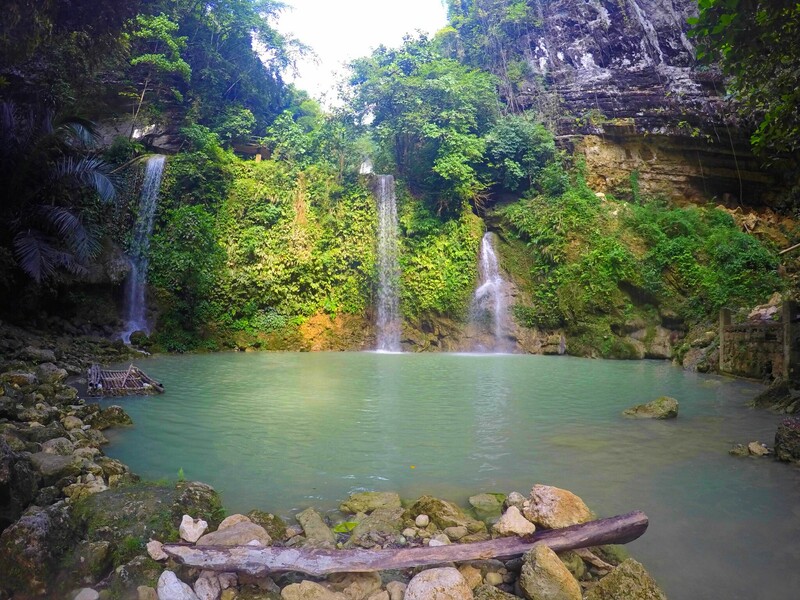 It is alleged to be the tallest waterfalls in the province of Cebu. The second tier provides the atmosphere with a cooling mist, bluish green water, divulging its stunning natural beauty to every traveler, and showing its unspoiled environment and deserves a visit even for a short period of time. 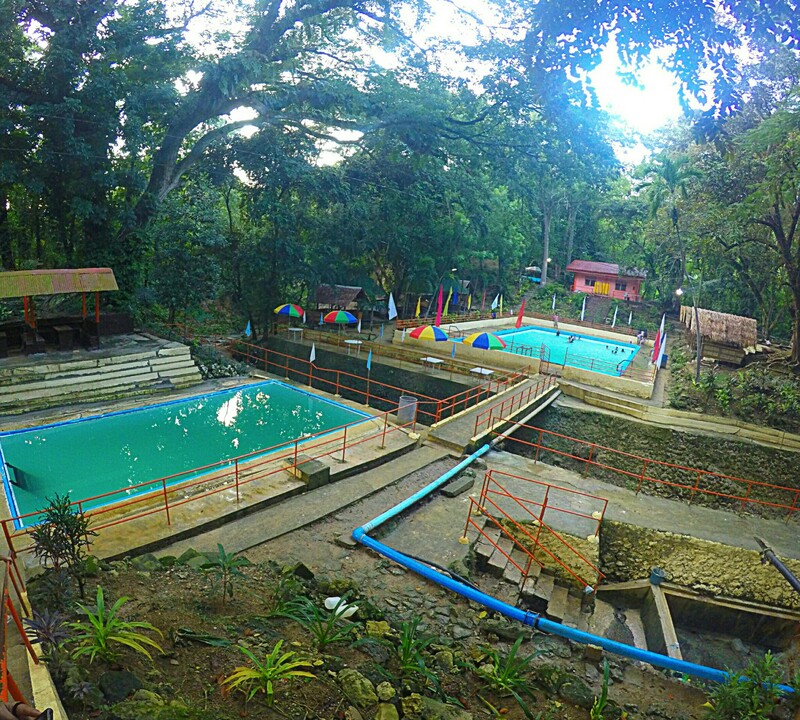 Aside from Mantayupan falls, a comforting Boloc-Boloc spring is slowly spreading its name to every traveler due to its clear water and soothing ambiance. It has two swimming pools containing fresh water and smothered with green trees on both sides. But what captured every traveler and tourist to visit this place is the Mineral Hot Spring. It has Sulfuric water-fed swimming pool that can cure skin ailments and a sound remedy for your tiring body. NOTE: You can also check other good sites in Barili like Sayaw Beach + Rock Formations and Caves, Molave Milk Station, Candugay Beach, Paril Mountain Resort, Paradise Valley Mountain Resort and many more. Take a Ceres Bus going to Bato-Barili route from South Bus Terminal in Cebu City. It is 1hour and 30 minutes drive if it’s not traffic in the city area. The first trip is 5:00 AM for the aircon bus, for the non-aircon bus the earliest trip is 2:00 AM. If you’re going to Mantayupan Falls on weekends, I would suggest you better proceed to South Bus Terminal 30 minutes before the scheduled trip to avoid crowds of passengers. Inform the Bus conductor to drop you off at the jump-off point to Mantayupan Falls. The mandatory Bus stop is at Shamrock Center. It is better to arrive at the falls as early as you can so you would owned the place and no photo-bombers. Don’t take the last trip Bus from Samboan at 7:00 pm going back to Cebu city so you won’t suffer to stand inside the Bus. Expect traffic as you nearly reach the City proper from 6:00 pm to 8:00 pm. I recommend taking the earlier trip is better. Previous Post: Pulangbato Falls: Spreading out its unique and extra special beauty. Next Post: Sickness does travel too, it arrives without permission, and it leaves without saying goodbye. Great photos, who takes them? would love to see the ‘Chocolate Hills’ Philippines is very beautiful. God Bless. I just wanted to dive in – a lovely post. That is so impressive of you, Lai. Being able to explore the world out there at a young age. In a way, I envy you because you started way younger than me. Anyway, Cebu has long been visible in my bucket list. The falls you photographed and the adventures you did there make me so wanting to cross Cebu out from the list soon. 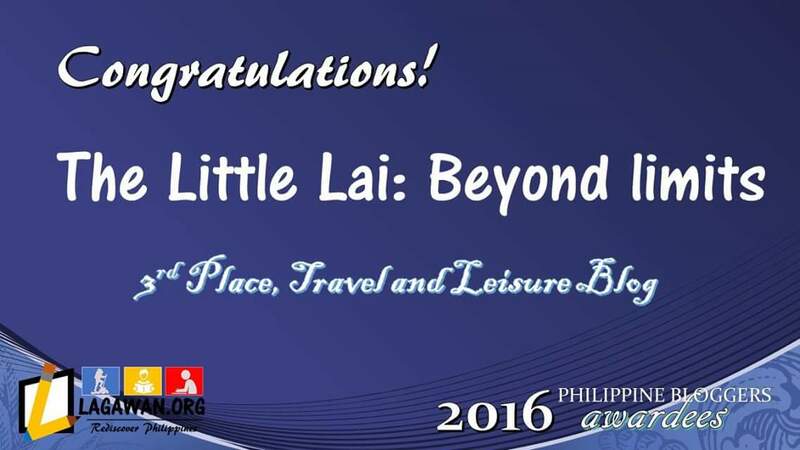 Great travel info about the place, Lai. Kudos! The cascades are bewitching and I am not surprised that you are there for the 5th time(luck you…going scarlet with envy…) I am lost in the magical charm of the bluffs and yours is lovely country..
Read this post of mine at leisure and get a feel of a poor cousin of a waterfall!! Majestic waterfalls! One day i’m gonna pose there. Bucket list! =) Me tourist guide ba papunta dyan? I’ll be putting up more of stunning waterfalls in Cebu. Just let me know if you’re travelling to visit Cebu. I’ll be glad to help you get to some of the tourist destinations in the Queen City of the South. Thank you so much for stopping by! Tourist guide? Just let me know if you’re going to visit Cebu, I’ll be glad to bring you there. I havent been to Cebu. Would love to, one day. That looks amazing, l’ll sure be going there when I be,t visit Cebu. Lovely photos and writing. And hey, thanks for dropping by my site. I’ve been here once but it was way to crowded to go for a swim. Lucky you are! Lovel photos. You have a great eye! 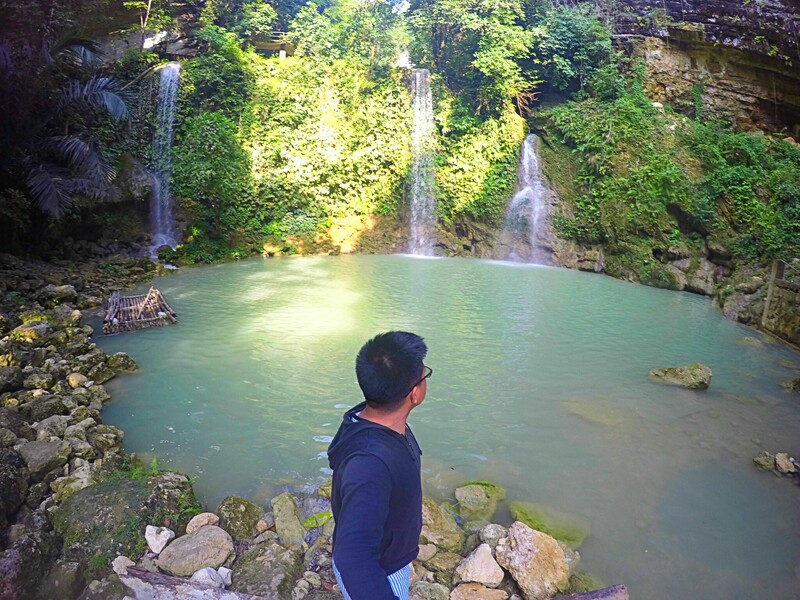 Tallest waterfalls in Cebu! Will visit this soon! I can easily see how one can fall in love with this environment. It is breath taking. Thank you for sharing. The fact that this is your fifth visit shows that the place is indeed mesmerising and wortha visit. The pictures looks so lovely. I wosh I could have been there. I am a big time travel lover. I gotta add this water fall to my travel bcketlist. I would definitely want to go to Mantayupan Falls. I love waterfalls! My favorite is Iguacu in Brazil. But these falls look so lovely and peaceful. What a great time! Thank you for dropping by. You will eventually enjoy the fresh water. Have a great day ahead! Thank you so much for your appreciation. I hope the photos I captured will give justice to the waterfall. Thank you for flooding me with your good comments, I truly appreciate it. I would love to tour you around if you’re going to visit Cebu. Simply inform me ahead of time. It must be something amazing during your sojourn. I’m really glad you did.d. Thank you for dropping by mate. This is just one of Cebu’s beautiful waterfalls, I will surely share some other amazing waterfalls as I’m still drafting my content. The water is really, really cold. This is something you should try when you visit the Philippines. Thanks for that Lai.Great images. The view is just simply amazing. Can’t stop staring at your photos. Great captures btw! Thank you also for dropping by and commenting as well. Hope you have a great day ahead! I actually just enjoyed my sojourn on my 5th time. During my first up to the 4th visit, it was very crowded. Thank you so much for the sweet compliment. Thank you for dropping by. Have a great day ahead! I would eventually say, the falls are really adorable, you should visit it when you get a chance to visit the Philippines soon. It’ll be some other fun filled travel experience for both of you. I can’t wait to read your blog post about Matayupan Falls soon. Thank you for such a wonderful commentary from you. The waterfall is absolutely beautiful. Yes, you stated it right. I hope you could see this falls soon. Yup, we will definitely schedule a visit there. But we need to check out other sites, attractions, and adventures in Barili. 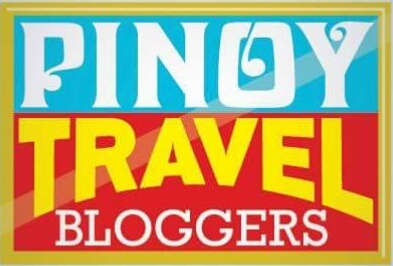 I think I have listed some of the tourist destinations in Barili at the end part of my blog. I wish I could see them all during my visit, but I was only lucky to visit the Mantayupan Falls and Boloc-Boloc Spring. Ah, yes, we found it in your blog. Thanks! Ah right I see, so it is a matter of timing after all. Unfortunately, I didn’t have the luxury of time to do multiple visits. Maybe next time?! Yeah, there will invariably be a next time. I hope you’ll find the perfect timing on your next visit. Thank you! I will find time if I drop by in the South. Yes, it’ll always be fine. You can share it! Thank you so much. Helpful information. Fortunate me I discovered your website by chance, and I am stunned why this twist of fate did not happened earlier! I bookmarked it. Looks like you visited a great time when it wasn’t busy too! How lucky. I love waterfalls and since you can combine it with the fishing and dinging as well as the springs, this would be such a fun and soothing day trip I think. Wow, gorgeous falls! I love the turquoise water too! You are finding the best nature spots I swear! It also doesn’t seem too hard to get to and also thats nice it didn’t seem too busy! You hit two of my most favorite things: waterfalls and mineral hot springs! 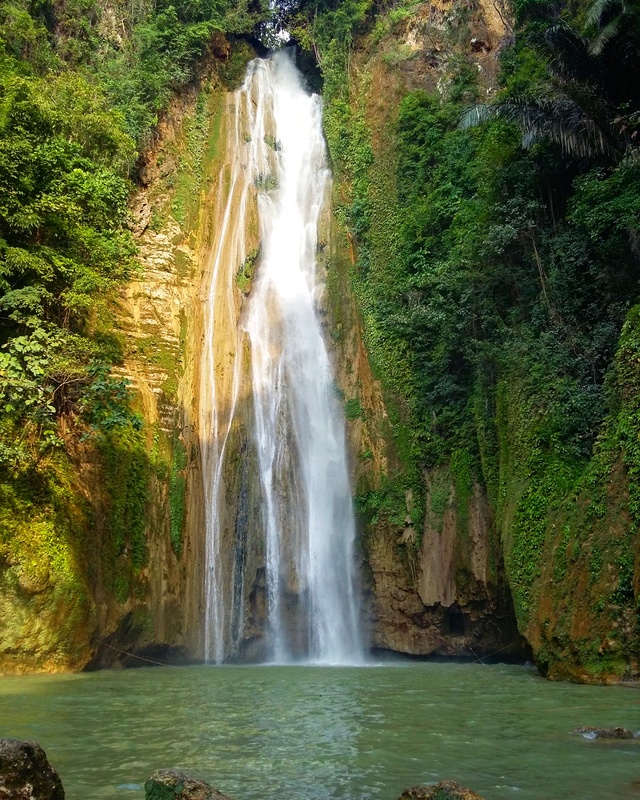 I would challenge myself to make the journey out to Mantayupan Falls in a heartbeat — it’s so gorgeous! I love the different cascades of water, and the lush greenery that surrounds them. I can see why you love it. I’ve thought I knew this post, but no, this is a new one. Waw, I’m impressed. Mantayupan Falls are very similar to the ones I’ve seen in the other posts but yet they are so special. You managed to capture the big waterfall in a fantastic light. It’s even more interesting that you can see three of them. That’s a place that I must see someday, and I keep saying that. Wow the Mantayupan falls is magnificent! I bet it is quite a sight to see it in person! It is not too far from the town too so making it easy to visit if staying near the area! I really enjoyed my time in the Philippines, but still have yet to explore Cebu. These falls really do look SO worth it! I would love to take in the beautiful views here! It’s good to know another short guy hehe Mantayupan is only 7th on my list for top waterfalls in Cebu but it was fun to be there. Relaxing and cozy. Check out my blog. We may share a thing or two. Thanks for the support, mate. I appreciate it. Hope to see you around!